Size matters in the Marvel Cinematic Universe. Which is why a key co-star in Peyton Reed’s upcoming Ant-Man isn’t afraid to (hypothetically) pit tiny Scott Lang (Paul Rudd) against furious Dr. Bruce Banner (Mark Ruffalo). Let’s make this happen in The Avengers 3, Joss Whedon! That seems like being the opposite of a superhero, but when you actually think about all the things you could do if you were that small, and you retained your full-size strength, you would be sort of unbeatable. Like, I think the Ant-Man could beat the Hulk. He could shrink down and go up his nose, and you know, crush his brain. How is the Hulk gonna beat the Ant-Man? He'd be chasing him around." And now I can think about nothing else for the rest of the day, Corey Stoll. Thanks for that. As we ease our way into Phase Three of Marvel’s Cinematic Universe, it feels like the studio will have a little bit more explaining to do when it comes down to the heroes and the villains. Captain America and Thor kind of speak for themselves. Ant-Man and Yellowjacket, however, aren’t exactly household names, and so the actors tied to Peyton Reed’s upcoming superhero origin story will have to be proactive in educating audience members on their roles in the grand scheme. He is not a villain in the vein of Thanos or Loki, who are villains that know it. [Cross] is a guy who is not that dissimilar from Michael Douglas' character, Hank Pym. A brilliant scientist, who is not ethically pure. I think a great thing about the whole movie is that everybody in this movie is in those shades of gray a little bit." That, basically, helps describe Paul Rudd’s hero, Scott Lang, who starts out as a criminal and reportedly tries to steal the Ant-Man technology from Douglas’ Hank Pym. Remember that first image of Rudd that was shared by Marvel a few weeks back? He looked shady and sinister, and I do think that a good part of the ride on Ant-Man will be characters changing their stripes – going from seemingly bad (like Lang) to begrudgingly good… and possibly starting out with good intentions (like Cross) but then giving in to the temptations of a criminal lifestyle. 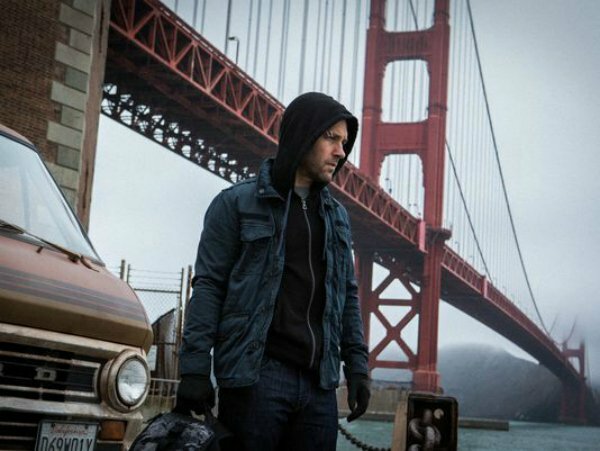 Ant-Man has begun filming. It will be in theaters on July 17, 2015.